Relief tile with "Campanula Latifolia" design for decorating old European style kitchen backsplash, bath wall and stairs. Handcrafted with cobalt, red and dark moss green color over light mustard. 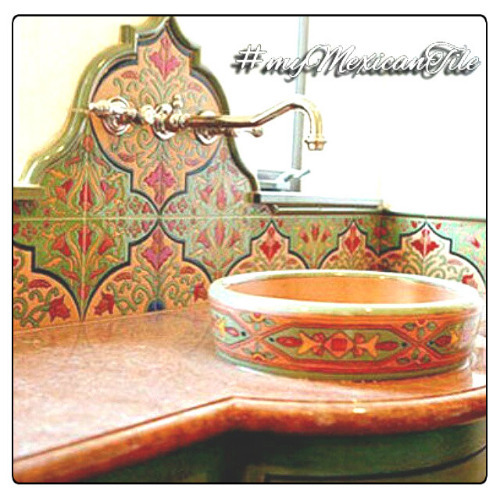 Production of mosaic relief tiles including free delivery from Mexico to the US estimated for four weeks. 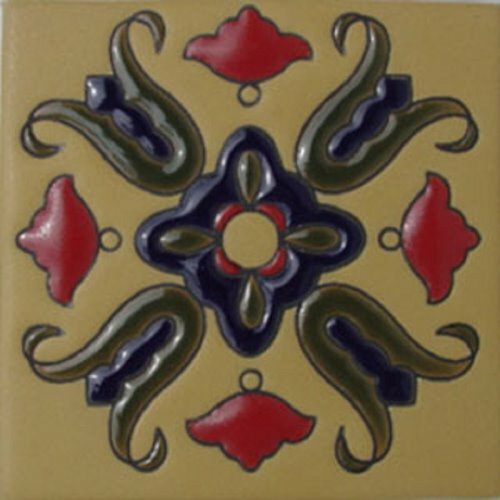 Relief Tile "Snow White Bellflower"
Relief Tile "Chocolate Brown Bellflower"